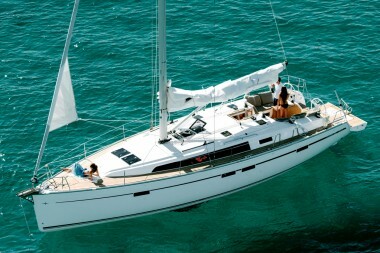 $3,350 per week Off Season: 10th July - 5th November. 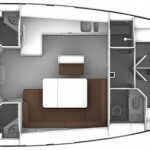 $3,900 per week Low Season: 1st May - 9th July and 6th Nov - 15th Dec.
$4,400 per week Mid Season: 2nd Jan - 31st Jan and 1st April - 30th April. 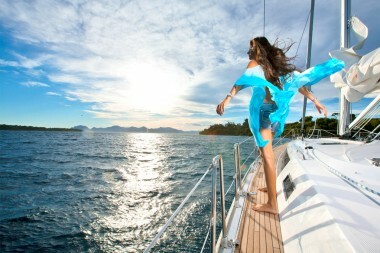 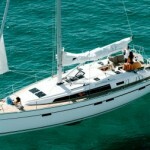 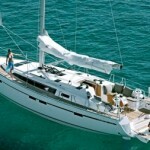 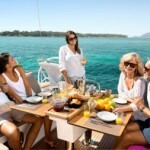 $5,200 per week High Season: 16th Dec - 1st Jan and 1st Feb - 31st March. 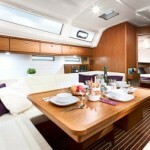 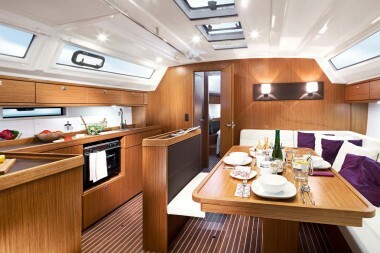 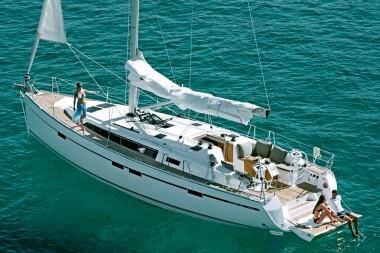 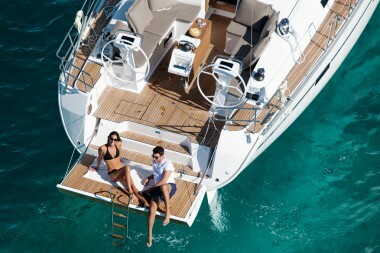 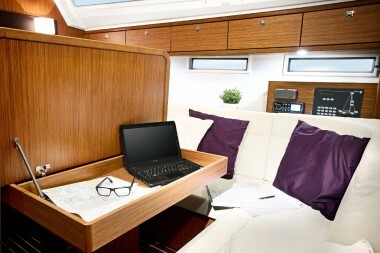 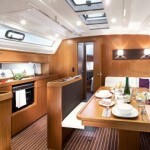 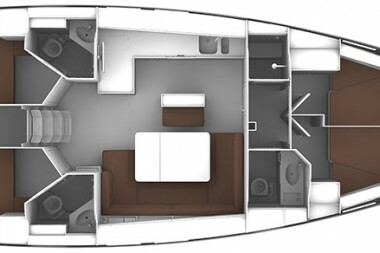 The new Bavaria Cruiser 46, Amarone, features sleek, modern exteriors with a broad, inviting cockpit and a full-width lowering transom / swim platform. 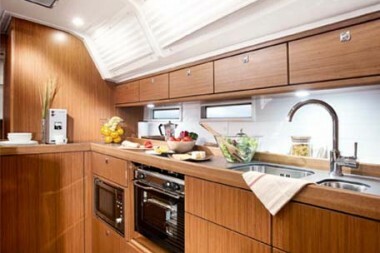 Below, generous port lights and hatches fill the salon with light, complementing the luxurious interiors that are customizable with numerous choices of woods, flooring and fabrics. 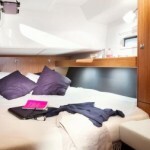 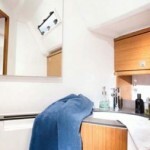 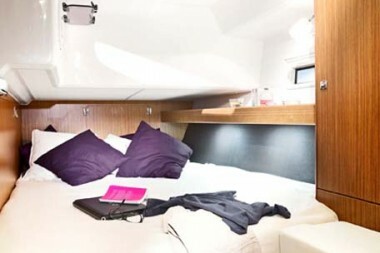 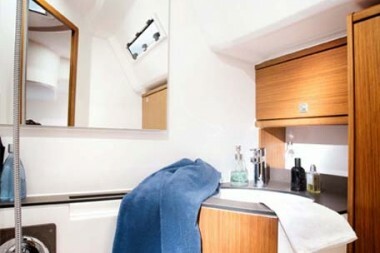 The voluminous layout belowdecks offers 4 double cabins, 2 ensuite heads and showers aft, and a separate shower room to port, with the head and basin separately to starboard. 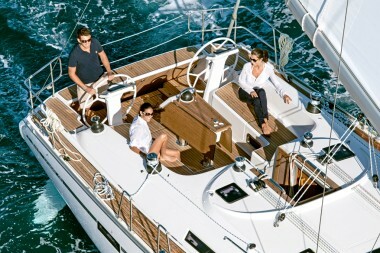 Twin helms and twin rudders add to the incredible performance and handling capabilities you would expect from this Bavaria/Farr design collaboration. 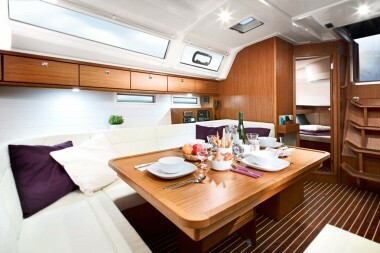 The Bavaria Cruiser 46 is the complete package: seasoned yacht designers, fresh innovation, proven quality marine hardware, plus strong structural construction – all beautifully finished and competitively priced.